Traveling attending as many Startup Weekends as possible around the World!! 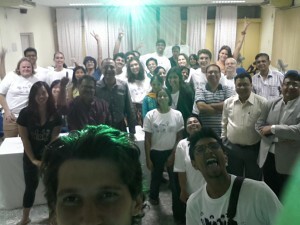 Startup Weekend Kolkata (SW#8): Welcome to India my friend! 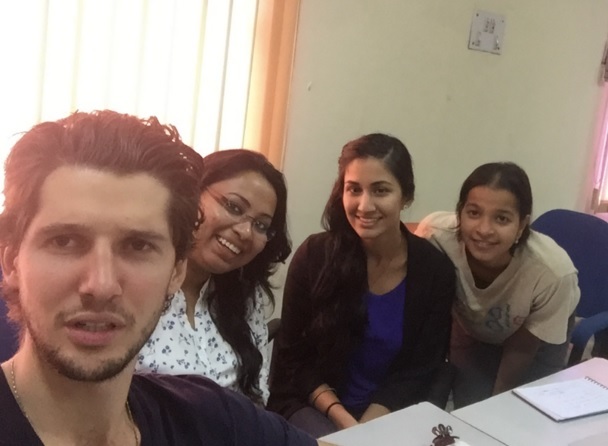 This Startup Weekend was very special; let me explain the context first… People from Google US and Salesforce came to India under an organized program to raise awareness around Human Trafficking in this part of the World. The name of this trip organizer is effect.org. 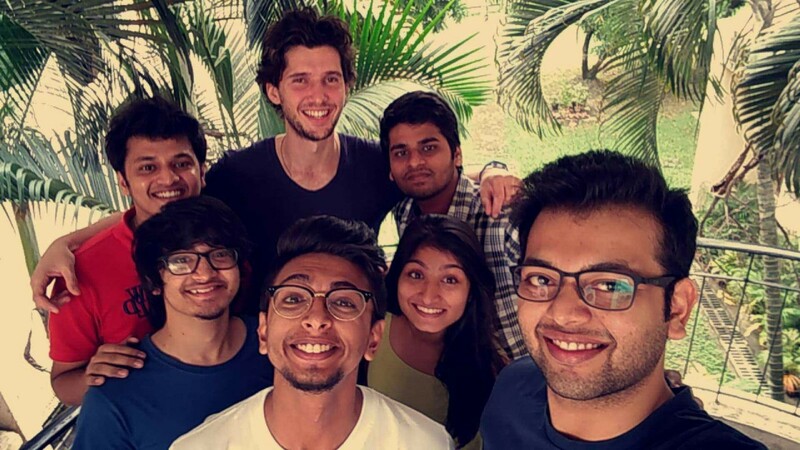 So, these guys spent a week in India meeting NGOs fighting against Human Trafficking, going to villages to talk about this issue with locals, etc etc and this Startup Weekend is their final mission: the moment to take actions on everything they saw over the past days! So you got the picture? 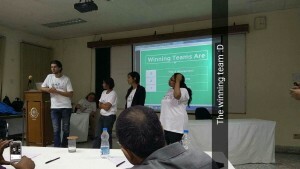 About 20 people mainly working for Google and Salesforce coming together to India as part of this awareness program about Human Trafficking and ending their journey in this Startup Weekend specially organized for them to take actions on what they experienced in the previous days! Most attendees were foreigners but some people from Kolkata were also part of the game. Indeed some volunteers and workers from two main NGOs specialized on Anti-Human Trafficking (Destiny Foundation & New Light) were attending the SW. 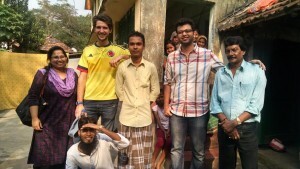 So, we had a cool lot here; foreigners, locals, professional from top companies and NGOs! Organization: Because of the specificity this SW was way more informal than all those I attended in the past. Indeed, people already knew each other and we were a small number so the organization was pretty chill and easy. No pressure and it felt good! 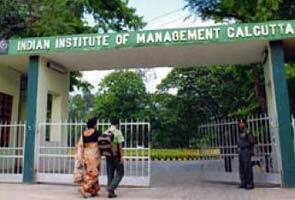 Venue: Venue was pretty awesome at the Indian Institute of Management; one of the top MBA universities in the country! The campus was huge and beautiful! It was a perfect place to escape at night and take a walk around one of its lakes! Since attendees didn’t come to this Startup Weekend on their own but as part of a program, most of them had no real idea about what a Startup Weekend is (its methodology, its rules, its organization…). But at the end of the day, this kind of hybrid organization made it even more interesting! Stolen Innocence Trailer from Christopher Davis on Vimeo. Nilofer, who has been working at Google for the past 10 years, pitched an idea about turning every citizen into a Human Trafficking watch dog. In a word, everyone could report an issue regarding Human Trafficking. I liked the idea and the attitude of the girl so I jumped into the team! We were 4 onboard; Nilofer, Shayoni, Sandy and I. Nilofer works for Google in California but was born and raised in India. Sandy’s parents are from India but she has been living her whole life in California and works for effect.org now. Shayoni is Bengali (Kolkata’s Indian state) and works for the NGO Destiny Foundation which is one of the main NGOs specializing on the issue of Human Trafficking in Kolkata. So we were pretty diverse in this team: international, local, NGOs, business… Hell, a pretty good team in a word! A really good mood: we quickly bonded, we took some time out of the working bubble and we never had any huge disagreements! A lot of creativity: we had the good people I believe and we challenged our ideas all the time to bring them to the next level! villagers. We did get precious information to keep building our model. This is what “user & customer validation” is about! A pragmatic approach: we did with what we had in terms of skills, tools, knowledge in order to reach a product as finalized as possible. Do what you can do with what you’ve got and do it well! No technical background for a solution that required technical skills. Too many doubts about the relevance of the problem we tackled: a Startup Weekend is all about finding a relevant problem to solve with a solution that brings values to stakeholders (clients, users, partners, society…). We found this very relevant problem but we kept on questioning it too much and we lost a bit of time and energy! We decided to tackle the problem of Human Trafficking at the root: missing people. Indeed, people ending up in this traffic are always either sold by their families or taken by force from them. By going out in this village, we realized that some people would report it to the Police and some others wouldn’t. So we figured out that a hotline dedicated to reporting missing people would be the best channel. We then focused on the quality of the information we would receive and we wrote a smart questionnaire to clear up and validate missing cases reported. We would then use these pieces of information to map out missing reports all over the country and help a network of NGOs and partners to take the right actions to rescue them. 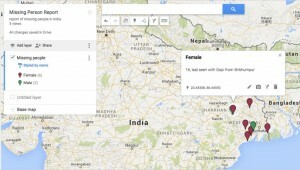 Connect a network together to actually rescue missing people. It can be from telephone operators to specialized NGOs passing by local authorities. Our true force, in my opinion, lay in the relevance of tackling the root of the problem (missing people) and trying to put together the right network of bodies for the right actions! We spotted an interesting problem and we brought as much value as we could to solve it! We didn’t build a functional prototype but as I said we did well with what we had. We set up an actual phone line and simulated a missing report call during the pitch to show everyone the big picture! It went pretty quickly since there were only 4 teams and only one of them actually had a prototype; a functional website. Our team did a very good pitch. Nilofer took care of it. She is a good speaker and she was well coached by her 3 teammates 😉 People really saw the potential of our solution in its easiness and the value it brings! We indeed tackled a significant problem and the fact that we would try to cooperate with already established bodies such as NGOs to take actions was highly appreciated. 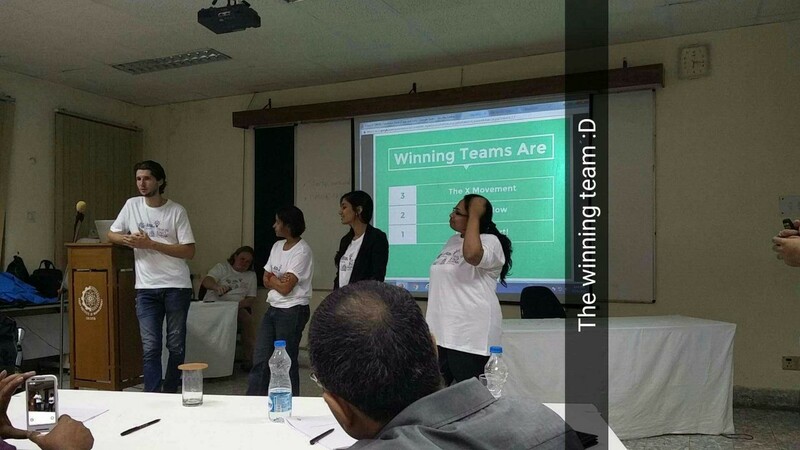 Our pitch was indeed good because we got the 1st place! Anyways, for this kind of issue and for the context, the winner doesn’t really matter but this is a Startup Weekend… There must be a winner! I really think this SW was the most interesting one I ever attended! It doesn’t mean the best but the most original and different! I really loved the fact that this event brought people working for those large companies who never heard of Startup Weekend before and who even never had any Startup experiences before with local and other international volunteers working for NGOs. It was a good mix! Everyone learnt a lot from each other and from the event itself I believe. Also, the fact this event was so small gave it some familial mood. You could speak and exchange easily with everyone, which is not the case in all Startup Weekends because there are so many people. So, small is not bad at all! Lastly, even if we were about 30 in total, you could see people from many different places: US, Canada, Australia, Holland, France, India, Sweden, England. In a few words, this event was small, diverse, friendly and fun! Organizers were Indians from Kolkata and I had great times with them! I remember dancing on Saturday night at 3am in the morning on Bollywood songs such as “Tatatatatatatatatata” haha! Those guys were incredibly fun and friendly. I actually ended up spending the next 10 days with them in Kolkata! Thank you for your generosity and this friendship you gave me! We’ll meet again I hope! This article is dedicated to my Indian family, the Bhandari; Alka, Rajesh, Richi, Anshuman, and my other great friends from Kolkata; Alyona, Julia, Ayush, Akshit, Mayank, Vineet, Surhabi, Jolly. Thank you for so much sharing, you made this stay in Kolkata and India one of the best times in the life of a traveler. This entry was posted in SW Summaries and tagged françois gobert, India, Kolkata, Startup, Startup weekend, Startup Weekend World Tour, startupweekendworldtour, swworldtour, Tour, traveling, Weekend, World by François. Bookmark the permalink. Startup Weekend Mega Centro (SW#13): Four in One! Copyright © 2019 Startup Weekend World Tour All Rights Reserved.